A Spanish language school founded en 1972, aims to teach Spanish in an intensive fashion by immersing students in Mexican culture. The institute is located in a beautiful garden with tropical vegetation and swimming-pool. it is perfect setting for students to study, relax and have fun. Exposure to Mexican life and culture challenges students to use newly acquired skills, in a variety of situations at school, in downtown Cuernavaca, at cultural events and on excursions. 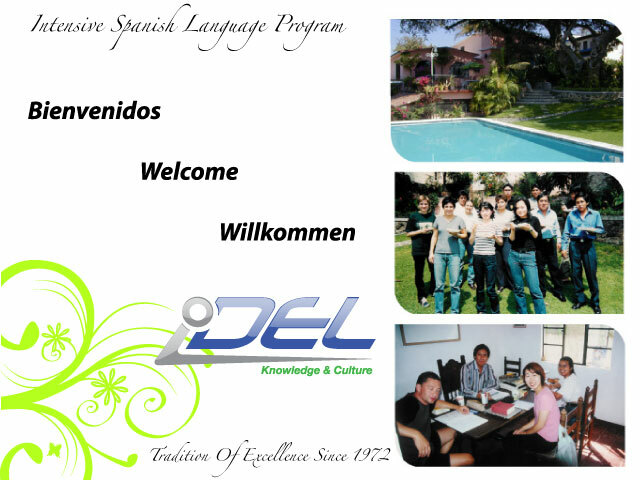 students of medical and social programs, high school students , teachers, religious communities and clergy, as well as by technicians, students of science, businessmen and their children, numerous embassies and delegates of international organisations is a tribute to IDEL’s success in teaching fluent Spanish.